PEP 542 proposes a shortcut notation when defining functions that would be added to a class. A discussion of this idea can be found here. Personally, I am not too fond of the idea ... but it's a good test case to see if I my nonstandard module, which I have mentioned before on this blog, could allow the proposed syntax to be used right now. 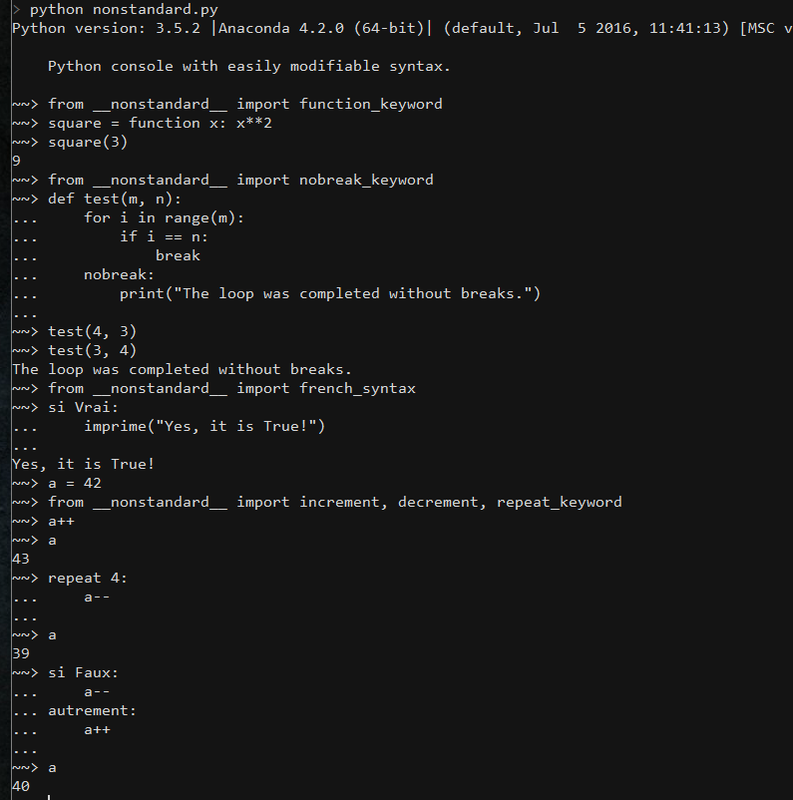 5. re-compile all the sources so as to create a new Python interpreter?